Noura has been working for Salle Mauro since it had been established in 1999. 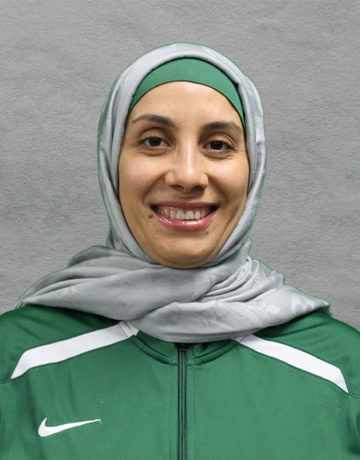 Before starting the academy, Coach Noura was a foil competitor in Egypt during the ’90s, she earned a place on the National Women’s Foil Team from 1990 to 1999. She overlooks day to day activities at the main Houston location as well as our other branches and after school programs. She has won numerous medals at National and International competitions. Coach Noura channels the same energy that made her a top international fencer into developing and inspiring her students. “I like to teach our fencers the beauty of the sport of fencing that it challenges the body and the mind,” she remarks. At Salle Mauro, she focuses on future fencers, working with students to develop a solid foundation of footwork, sportsmanship, and discipline for their future competitive careers. Coach Noura has brought many of the club’s fencers to top regional and national results.